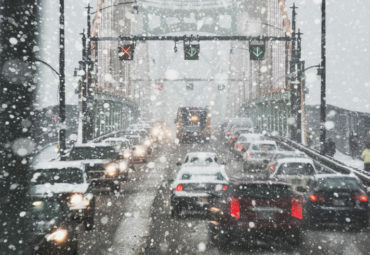 A mid-March winter storm that struck central and eastern Canada caused over $124 million in insured damage, Catastrophe Indices and Quantification Inc. (CatIQ) said Thursday. The storm hit Ontario on Mar. 14 and continued through Quebec, New Brunswick and Nova Scotia until Mar. 16. It brought dramatic temperature changes and heavy rainfall, resulting in snowmelt and widespread flooding, CatIQ said in a press release. Insured damage was the costliest in Quebec at $63 million, followed by $53 million in Ontario. Insured damage in Nova Scotia was pegged at $6.6 million and $1.8 million in New Brunswick. Throughout Ontario, Quebec and Atlantic Canada, there were reports of water-related damage and flooding due to heavy rain and mild temperatures that led to snowmelt and ice jams. Damage included basement leaks and sewer backups. Wind gusts of 80 kilometres per hour were reported at Halifax’s airport, and heavy rain throughout parts of the province amounted to between 15 and 60 millimetres. Ontario has been particularly hard-hit with catastrophes so far this year. On Apr. 5, CatIQ reported that two severe weather storms, one in February and one in March, cost insurers more than $70 million in insured damage. Water-related damage from the storms included basement leakage, sewer backups, burst pipes and leaking roofs. Previously, a storm that hit Ontario on Feb. 24-25 with damaging wind gusts, freezing rain and blizzard conditions caused over $48 million in insured damage, CatIQ said in late March. Strong winds caused widespread power outages and damage across much of southern Ontario. More than 150,000 customers across the province were affected by the power outages. In Port Colborne, wind gusts peaked at 128 km/h, and reached 80-115 km/h in other parts of the province.